I love building PC's, so I sold most of the parts of my previous builds (https://pcpartpicker.com/b/t3tgXL ; https://pcpartpicker.com/b/c6Yrxr) and tried something new. This time in a different case. I really like my "old" phanteks evolve, but I thought if I want to go with my first custom loop I need more room to "shine". The Lian Li o11 ROG isn't without its flaws but I really like the look and how the build turned out in it. Coming from more gaming orientated builds (i7 7700K, 1080Ti SLI), I wanted a workstation/streaming machine this time. To "justify" the costs, I sacrificed one graphics card and squared the cores. For gaming with my main monitor, a 3440x1440p 100 hz display, one 1080ti and lower singlecore performance are sufficent enough. Finally, my first AMD build since 2003 =). WOW!!! 1+! This looks amazing!!! please please give me a link to that background!! :D I really love that build! amazing bents and great color scheme!!! And its threadripper wich is dope too!!! Ain't that the same one that BitWit is rocking with Hotline 2.0 on his channel? Where did you find that GPU bracket and those fan grills? I love them! thx! I got the bracket and the fan grills from https://www.jmmods.com. I can picture Dance with the Dead playing in the background. This is honestly one of the most stunning builds I've ever seen Just wow. This is probably the new aesthetically pleasing builds i've seen. Nice work! Tears....tears are rolling down my eyes as they burn from looking into those stellar lights as if it were the sun itself gracing me with its rays! One of the best looking computers I've ever seen. Photo 2 is great. I keep seeing this wallpaper, can I get a link? Nice work. nice looking computer(s)(yes, I noticed the switch). This is a dream build! Amazing work!!! I've been a lurker on this site for quite sometime now and never created an account, but after seeing your build I was force to register to be able to leave a comment. First of all great build man, it looks amazing!!! I also wanted to know where did you get the Poseidon bracket underneath the graphic card? I also have an Asus 1080 Ti Poseidon. I got the bracket and the fan grills from https://www.jmmods.com. Absolutely killer build! Nice to see more 1950X builds. Don't know if I can resist the allure of the HD120 kit anymore. The Enermax TR4 360 kit just showed up and I was wondering which fans to use (seems like the stock fans die quickly). I really like the style of the hd's but I wish they were daisychainable and using a standard addressable rgb header. you don't want to see the rats nest in the back chamber because of nine hd120's :D.
Oh man! Yeah. Everyone needs to get on the same page in terms of RGB, but we know that will never happen since everyone wants you in their ecosystem. love the color scheme !! great work with the build, it looks stunning!! Well done sir. *gives a JLP slow clap and charming smile. Holy.. amazingg. If I may ask, what monitor is that? Oh now that's exciting! Beautiful build. what was your average power draw for the system? any complains about the board? will we see OC results? stock bios was trash. I am using an actual beta bios and the system runs super stable. temps are a bit high at silent settings due to only one radiator (ordered a second 360 today and will update the build/log soon). the gpu reaches high 70's with an oc around 1900Mhz. haven't tested the cpu's oc capability yet; will do it with the 2nd rad. cpu@stock reaches around 63°C at full load with low rpm settings. The screws of the cpu socket frame are a bit to short, but with brute force np :D. It is important to tighten all screws of the socket 'correctly'. I had one loose screw and the system could not detect dimm a2. this costed me an half of a day to troubleshoot this. Wow, that will be pretty extravagant to add an extra radiator. I'd like to see the OC on that. yes the BIOS and RAM support is still funky but give it a year and the BIOS and RAM support will be more stable. interesting that a slightly loose screw will prevent booting which the recent Linus meme PC video was also facing. I am planning to do a full AMD CPU and GPU combo with the 1950x and RX Vega. Great build! I really like how the desktop is reflected on the case in the first picture. Looks good. The bends on the tubing look perfect. 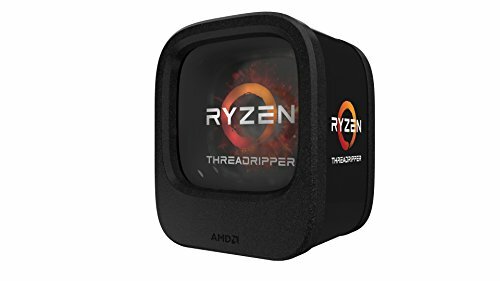 I know that you can't delid the regular Ryzen CPUs, but can you with the Threadripper? And if you can, did you? Hot damn this is hellova beautiful build! I love these kinds of builds to death! Multi color all around. That case must be heavy to move around. ...(jaw on the floor)... Wow!!!! You transcend art in computer. This build is awesome-looking! I like custom water-cooling loop you've got going, along with the RGB lighting. Using the 1080ti 11GB Poseidon from Asus was an interesting choice, but works well with the color theme of this rig. Using the 1950x Threadripper CPU is a nice choice. To say you will be able to both do gaming & livestreaming with smooth performance would be a major understatement (if livestreaming is in your plans, it. My hat is off for your build sir. +1 Absolutely Amazing JOB!!!! ps... where did you get that ps4 controller dock? This build is soopa cool!!! omg the ram. LOVE IT! Man I just gotta say thanks for posting this, I saw this at the right time, I've been looking for a case with tempered glass and USB-C 3.1 Gen 2, and thanks to this post I've finally found it. Your build looks amazing too, I'm impressed, really clean and beautiful build. You definitely inspired me to RGB it up. lol 5x HD120, a commander pro, and lightning node later and I have to regrets lol. Except maybe RAM. Once the Zenith BIOS irons out the kinks, I may go for 128GB. Oh my god, that is stunning! The infinity ROG mirror, just wow I want 10. What a beautiful build. Just gorgeous. You can really tell the time and effort put into this machine. Bravo. Wow, I absolutely love this build, done perfectly...Stunning! Really impressive, I am amazed by how clean and well you put this PC together! Probably my favorite build on this site. Just out of curiosity, where do you drain the liquid from? Also amazing build! Thank you :). i placed a ball valve under the outlet port of the pump/res. I need to tilt the computer to get the fluid out of all components; but it works fine^. Truly an amazing build here +1! Thanx for posting such beautiful pics of your build. If she runs half as good as she looks, she must be a monster. Well Done, Sir. There’s no way this machine is not a member of Daft Punk. Dancing out of the meat realm into silicon. that thing is an absolute overkill!!!! WTF! Hey, I love the build. I am gonna use this as insperation. Damn amazing build 100%. How was watercooling with the 1080ti posideon? Are yuou worried about mixed metals or do you know what metals 100% are being used? I'm really getting ready because i have a build coming up with that bad boy in there! Why do you use 2 kit @4x8gb ? as far as i know it's better to have single kit 4x16gb or single kit 8x8gb. I got informed that using separated kit is not optimal. Am i right? Nice, i'm just worried i will get problem when using seperated kits like some people told me. what ram speed you set it up? can it works at 3200mhz? it is working with 3200mhz right now on the newest beta bios. at some z370 systems I experienced, it was much harder for me to get over the 3000mhz wall with a similar ram kit. So gorgeous! Love all of it. If you have a minute, can you list your watercooling parts? Or snap a picture of the list if you have one? Would love to see all the parts you used! thank you! haha, I had to place so many orders for the parts because I always forgot something. so, a complete list is not existent. I will sum it up and add it to the partlist later, promised! thank you! for a custom loop I prefer the lian li and I think it is worth the extra money. but for an aircooled or aio build I would definitely go with the phanteks or your components may look a bit lost inside the roomy pc-o11 wgx case. both are high quality, both have its flaws, the lian li feels a bit more premium. Hey can you tell what the MOBO is like, any issues?? nice build. what monitor is that? its amazing! Why don't you overclock it? Very cool! I am building nearly an identical system as early as next week or as late as after black friday, but just purely a workhorse, not doing anything visually fancy to it like this beauty. 1.Did you have any issues with that motherboard? I keep seeing reviews that it was pulling up all sorts of issues. 2.And the ram you chose, are you able to get it at 3200? 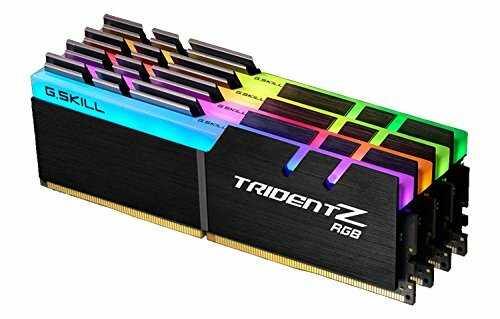 I went with 2400 as my 'sacrifice'(ideally want mine to cost $3500 tops) but also because I was reading it's pretty difficult to actually get 3200 on the ram, are you getting that speed? (ps what is with ram prices sky rocketing?!) 3.Your power supply, 1000w is just a huuuuge safety precaution right? I was going to get 1200w, then dropped to 750w and that will still be more than enough from what I've been told and read. thx! the board works well so far (newest bios), sometimes software like AURA has some strange behaviors, where I need to reboot to sync all colors. But Asus is not known for the best software experiences (I had to reinstall windows after trying AI Suite III). I am running my ram with 3200, but while coldbooting the system reboots itself (like a failed overclock, but finally in windows cpu-z shows 3200). With 2933 the system starts normally. I recycled the psu from my 'old' build with two 1080 Ti's and if I win the lottery I maybe do SLI again in the future. Someone told me it is super energy efficient to use a psu with 50% load. Maybe a myth, but I am using it like that for now. With a single gpu, 750W should be enough. All in all, I am satisfied how the system is running. How's the room for the cable on the side of the mobo? I have EATX board as well and I am considering getting this case. I want to utilize the rad mount on the side, but do you think's it's possible to route the cable through the hole while also utilizing the rad mount? thank you! it is a very tight fit for eatx. you have to remove the gromets and with my zenith extreme only the top 3 sata ports and the bottom usb 3 header are usable. It is important to route all the cables (especially the 24pin, ideally custom sleeved) before screwing down the motherboard. In my configuration a rad on the side would be possible by placing the fans into the front chamber and the rad into the psu chamber. 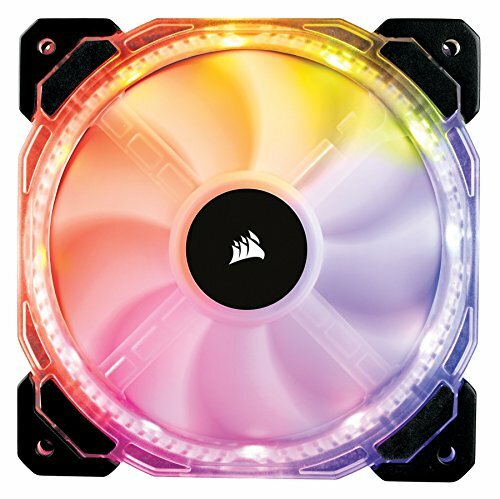 If you want to use a bottom radiator with fans too, I don't know if the clearing space is enough for fans with standard thickness. The fan cables can be routed through the holes under the motherboard. the standard PC O11 has definitely more room for eatx configs, but has other weird design flaws. np =). with a single radiator the case is nearly perfect. I just ordered a 2nd radiator and would like to give some advice. non-watercooled or aio components would look a bit lost inside this big glass box. If you use shorter psu's like I did (evga g3 for example), cable management is easy. For "EATX" motherboards the mainboards standoffs / the overall design should be slightly higher. It is such a tight fit, especially for the 24 pin connector or sata cables (the bottom sata port row is not usable). Using alternate cable holes would eliminate the clean look. The whole construction feels a bit to wobbly without glass panels. Some people say the main chamber is to narrow for 'normal' mounted wider graphics cards. I can't confirm this, because I am using the poseidon fatso and had no problems to get this thing inside. Only the glass panel is slightly touching my sleeved pcie connectors. The bottom and top radiator mounts aren't aligned parallel. If you want to connect them directly, you need to improvise to get a clean, straight tube. If you populate the bottom with fans and/or a radiator the with coming vertical gpu kit is not usable without modding (or you accept the fact the half of the back of the case is open). The radiator mount on the right of the motherboard has limited space (especially, if the bottom is populated), a good performing radiator would collide with the front I/O cable. Fan clearance in the motherboard chamber is to limited with a radiator mounted to the bottom. A cable hole/grommet from the back chamber to the case 'socket' would allow to use the space to do push/pull configurations with a bottom radiator. Apart from that, building in this beautiful case is fun and easy. Side note: Lian Li customer support is one of the best I experienced in the 'tech world'. Fast responding, friendly and accommodating. These comments are regarding the normal O11 case right? no, for the rog version. Absolutely amazing build! In fact, I'm building an extremely similar system as well, M9E, 1080ti Poseidon in Lianli o11 WGX. However, when I set up the system with system builder, it says "The Asus - GeForce GTX 1080 Ti 11GB POSEIDON Video Card height of 158mm exceeds the Lian-Li - PC-O11 WGX ATX Mid Tower Case maximum of 150mm.". Is it true? The second thing I want to confirm, this system will be the first custom loop water cool system I ever build, what is the thickness of the radiator, and whether you got your D5 as a set with a tank or not. Thank you! the poseidon definitely fits without using the vertical kit. the glass panel is slightly touching my sleeved cables, so it is tight but no problem at all. thickness of the rad is 38mm and it is a d5 res pump combo from ek with a EK-RES X3 - TUBE 250 (204mm). Looks really cool, but one problem with the custom loop system; the excess heat of the GPU/CPU (not sure which way it is flowing) is being transferred to the other part of the system. Great build. I am going for a similar one with the same case, but with Vega. Can you post full list of EKWB parts ? Or at least the pump reservoir combo ? Is that an EKWB 400ml Res? Hopefully next month I can post my Z370 build in this case. Hey, can you help me a little bit? I'm planning to add a loop with this card, but I don't know the metal Asus uses inside the card so i can't choose to match it. Hey this was a great build I’m trying to build a copy of this. I have all the exact materials but don’t have the water blocks where did you get them from. Since this will be my first build, I don’t know where to start or how the liquid cooling even works. Are there any other materials or stuff I would need in order to build this. Thanks hopefully I’ll have an amazing build just like you do. Hey, thank you. All watercooling parts are from ekwaterblocks. To get started, check out youtube channels like jayztwocents and/or jpmodified =). happy building! Could you post some scores of PassMark and Geekbench 4? I build a 1950x but my performance is really bad. I'm sure it's because of the memory I choose, so I want to get right one this time. I don not have the case yet, but how did you mod the fans at the bottom and what the lights on the back of the case, bottom, and in front? Also amazing build! That liquid is the ek-cryofuel navy blue? What uv cathode have you used? what do you use it for? 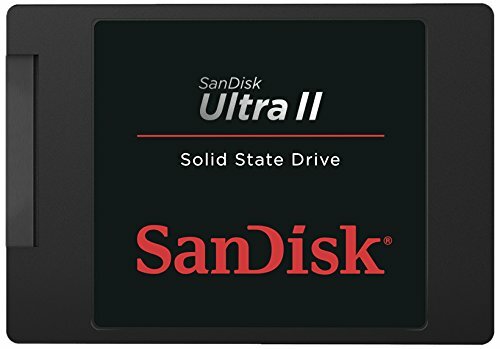 Great computer but the RAM is a little (no a lot) overkill. Few people need that much. Hey, this is an amazing build and I am impressed on the way you designed your loop. I am currently working on mine of a similar build to this one and am wondering what are your cpu or gpu idle and load temps.